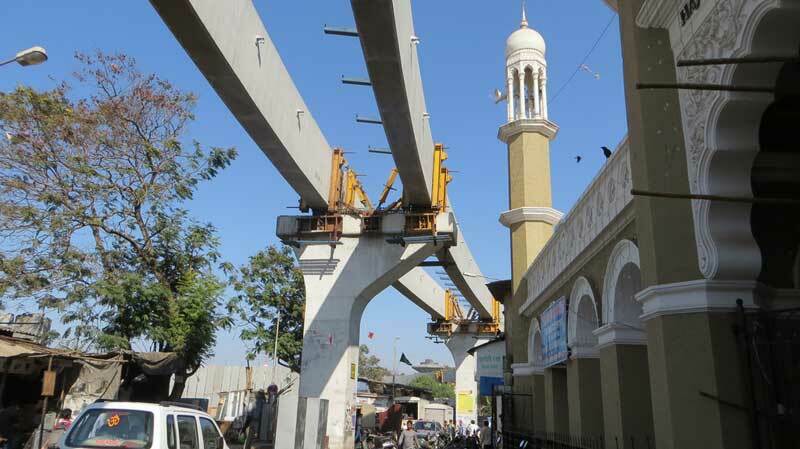 Construction Gallery - Mumbai Monorail, India. 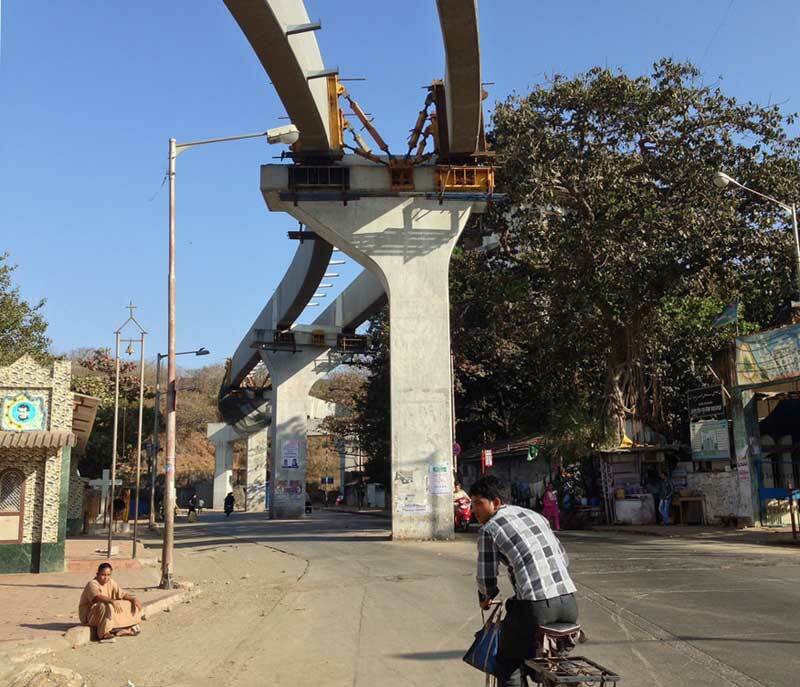 While on a photo/video mission to the new Mumbai Monorail, our world traveler Luke Starkenburg also explored the Phase II alignment under construction. His images give us a nice preview of what is scheduled to open in 2015. 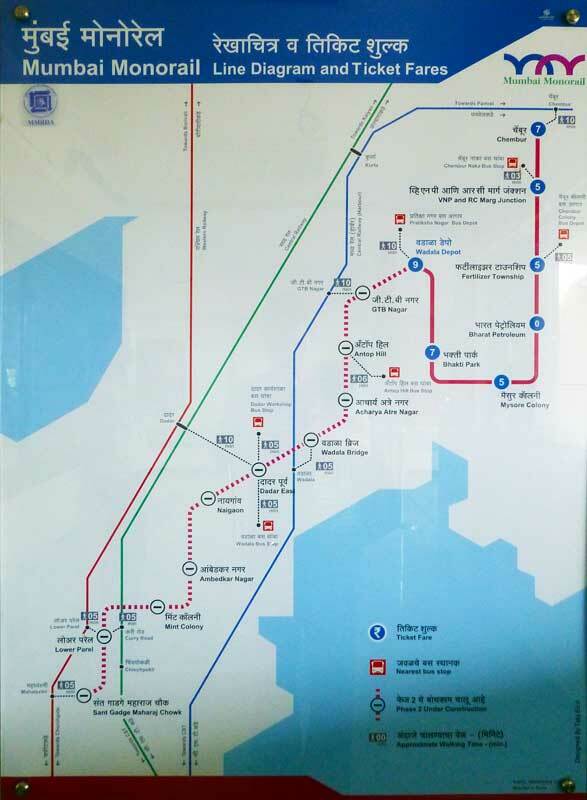 The solid red line on this map represents the segment that opened in February of 2014. The dotted line is the area of Phase II construction. 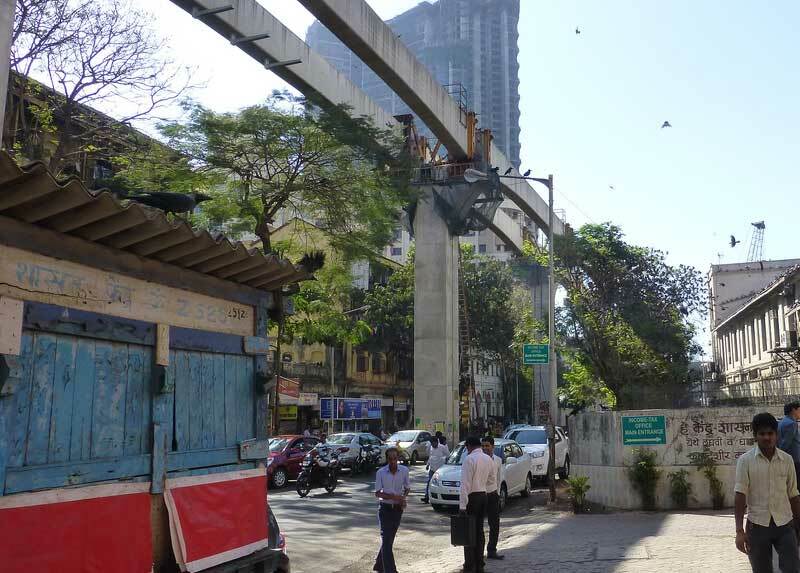 As the line works its way towards downtown Mumbai, the narrow corridor challenges the monorail builders. 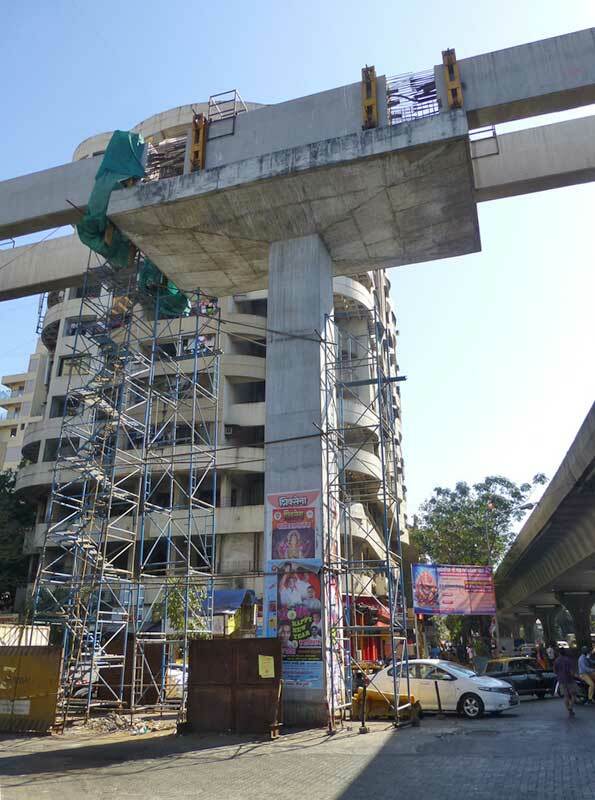 The track is high at this point to make its way across the Lalbaug Flyover. 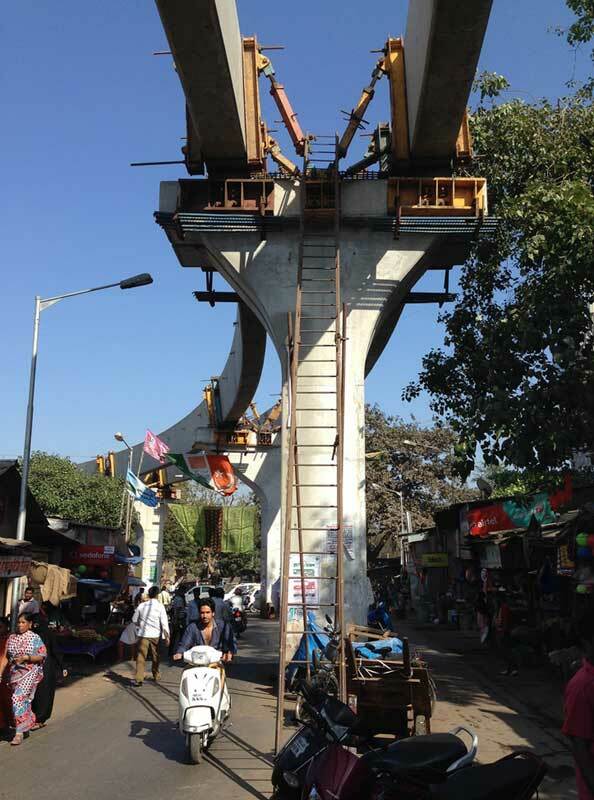 Luke tells us these table 'extension' platforms are common on Mumbai Monorail. This narrow road is between the GTB Nagar Station and the Antop Hill Station. Anyone care to climb up for a better view? 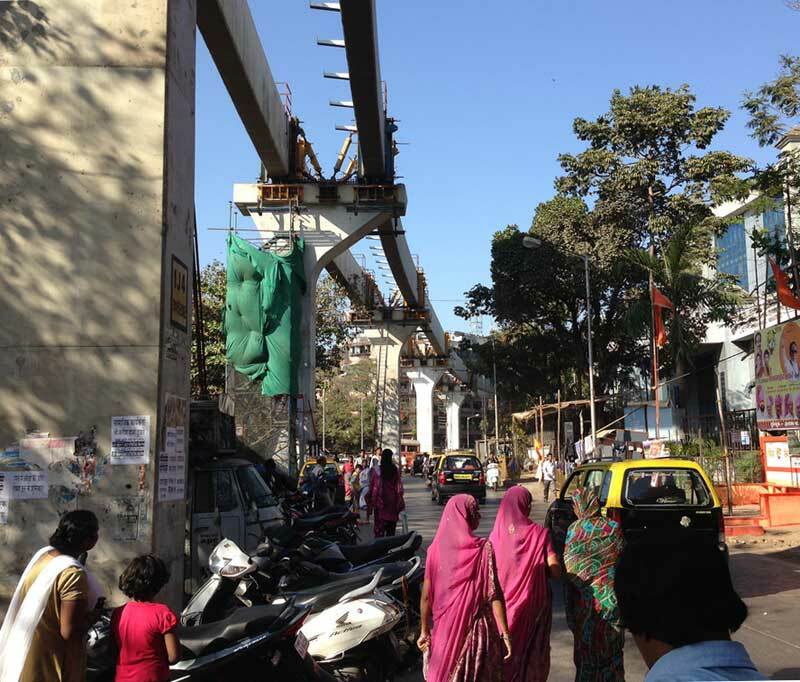 Here again is the high track leading up to the Lalbaug Flyover and the Currey Road RR Station. Luke's videotaping and photo taking garnered a lot of attention from locals, most of which was friendly. 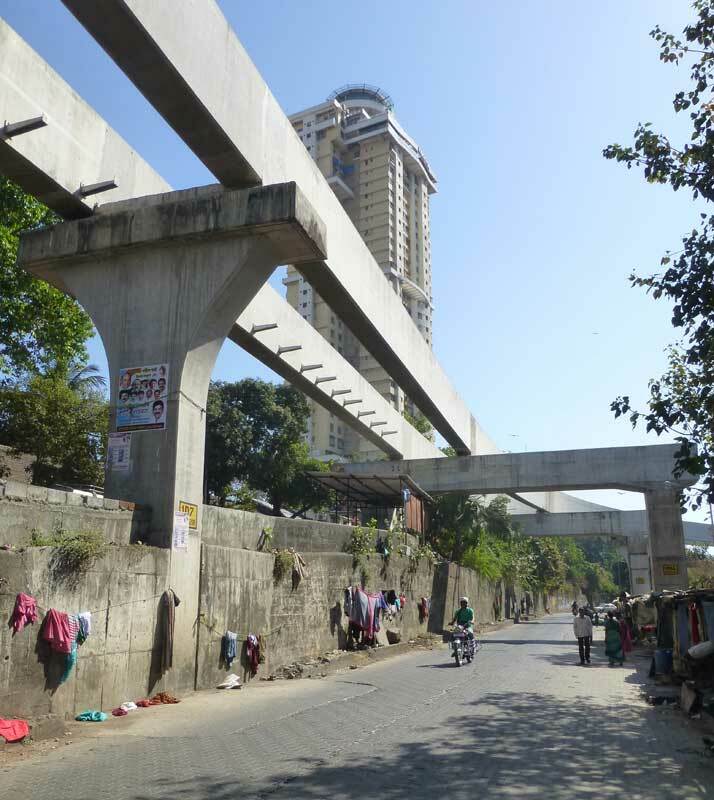 A nice S-curve near Wadala Bridge Station. 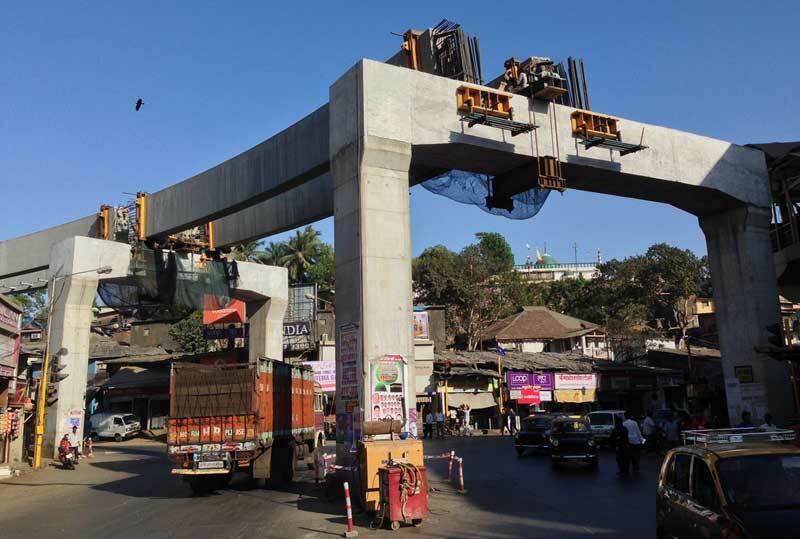 These two straddle bents are just before the section where the monorail will cross the railroad tracks near Wadala Road Railroad station and the Wadala Bridge Station. Only a few segments along the route are still missing track as of this update. Notice how close the beams come to the tower structure of this temple between Antop Hill Station and Acharya Atre Nagar Station. 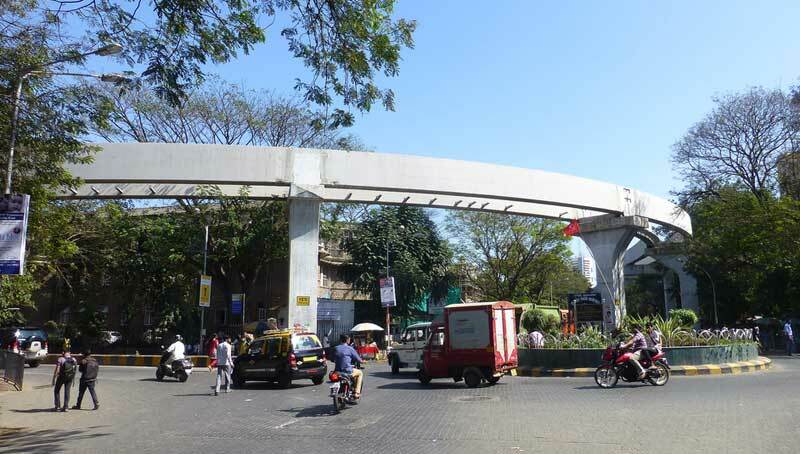 The last image shows a beautiful curve over a roundabout between the Naigaon Station and the Ambedkar Nagar Station. Thanks for the update Luke!